Hi friends. Today I wanted to share a little how to post regarding candle jars. If you're like me, you have at least one candle burning at all times and I'm constantly on the hunt for new ones. 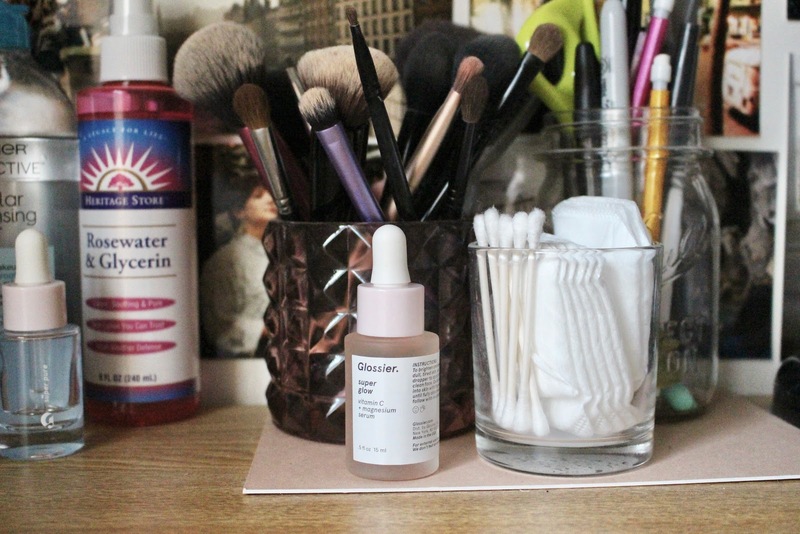 As of recently, my favorites come from Anthropologie and DW Homes (I buy mine at TJMaxx or Marshall's). Anthro has incredibly cute jars, and I always want to save them; they're also a great alternative to the overused Mason jar. 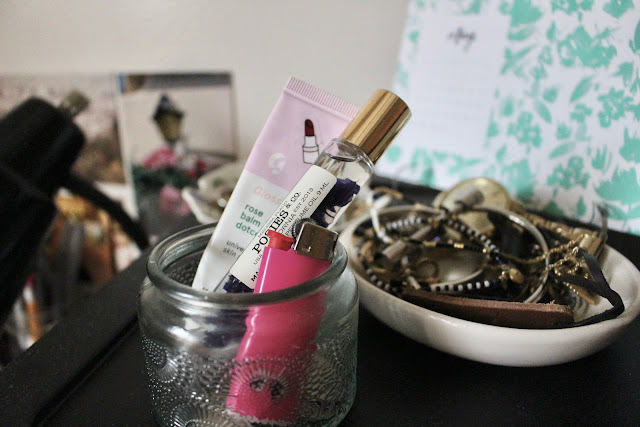 I use my candle jars for little items on my desk and it gives me somewhere to put them rather than just clutter up my space. 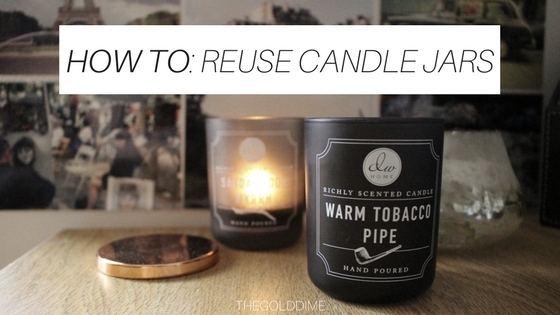 After reading a ton of ways to reuse candles and get the remaining wax out, I developed some steps that I always take when I want to reuse a jar. I certainly did not come up with these steps on my own, but I've adjusted different 'techniques' to what I think works most. I've also had my failures with this system, aka when a jar cracks from freezing or I once literally cracked it just from holding it, BUT typically it always works. 2. Take it out and completely coat the remaining wax in dish soap, then put hot water in it (I don't mix the soap with the water, but I guess you could), and let it sit for another half hour or so. 3. Depending on the type of candle, the wax will slide right out of the candle or one time the wax actually just floated to the top. If this doesnt happen, just keep repeating step 2, and carefully break up the wax with a butter knife. 4. Rinse and wipe away residue, then voila.